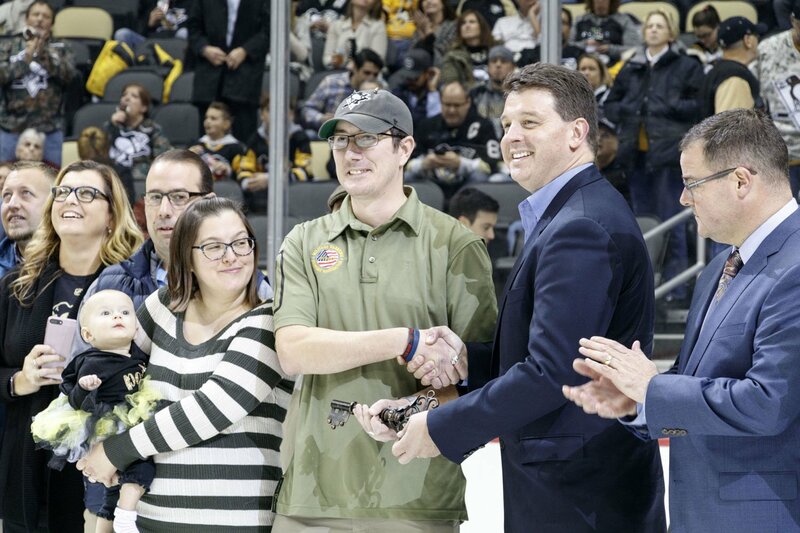 With our friends at PNC Bank, we were proud to honor #USArmy Veteran, and Purple Heart recipient, David Marino with a ceremonial key to a move-in ready, mortgage-free home! 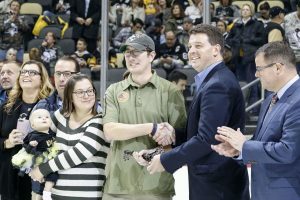 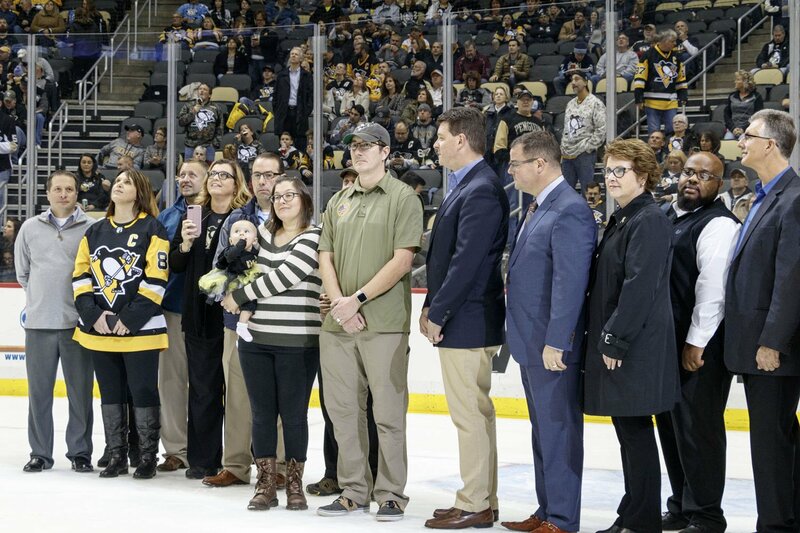 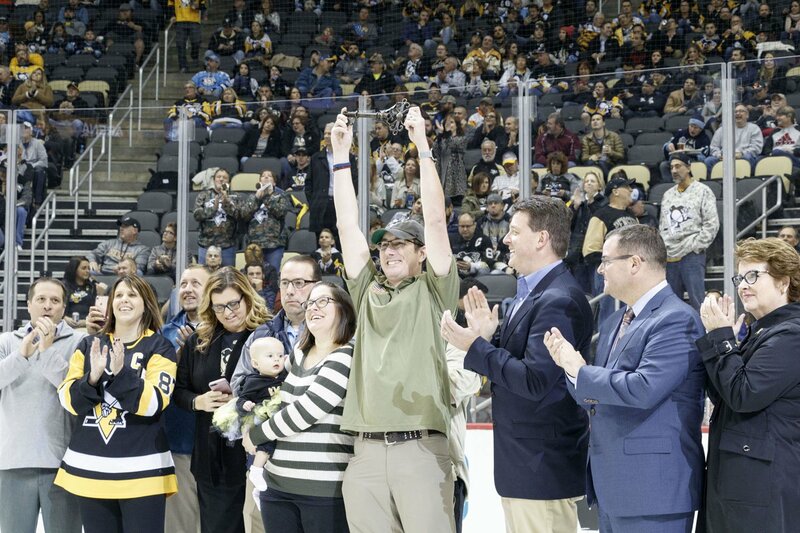 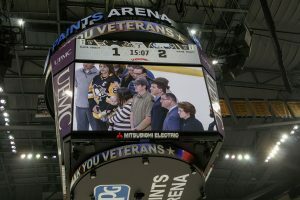 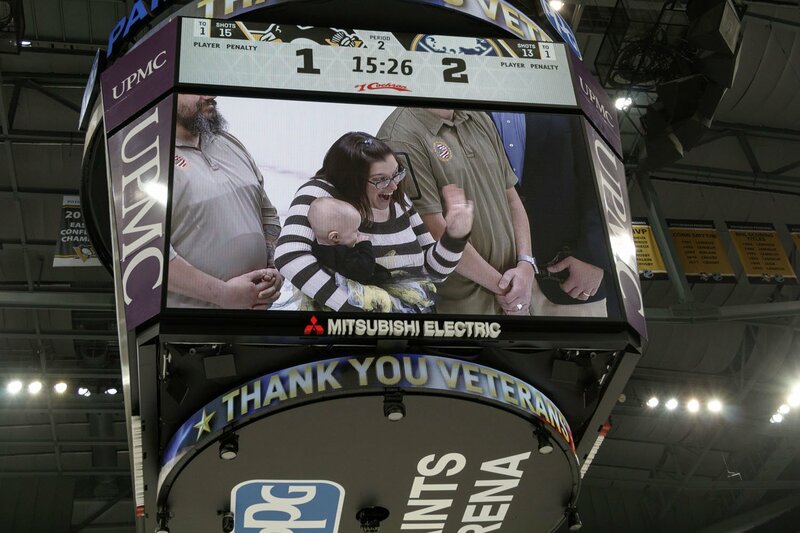 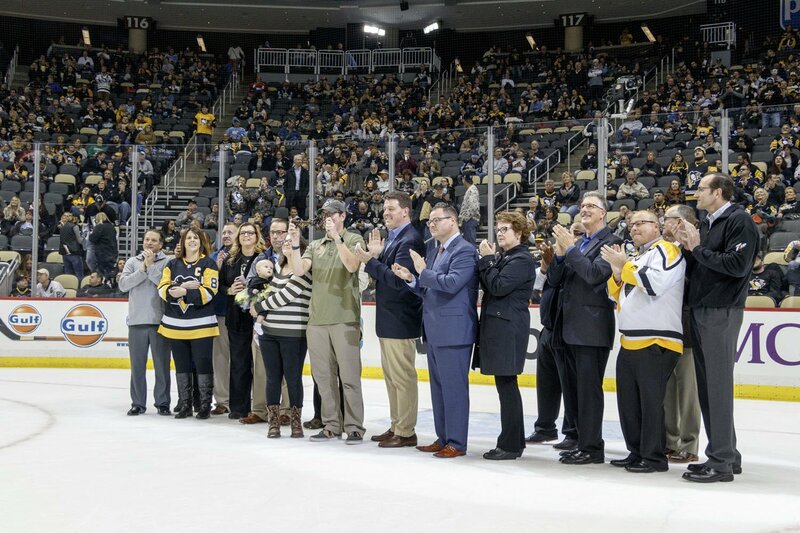 During the Pittsburgh Penguins hockey game, David was presented with his key to his move-in ready, mortgage-free home in Pittsburgh, PA. 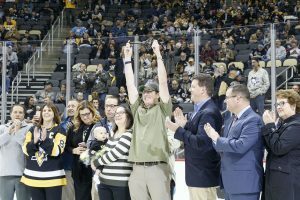 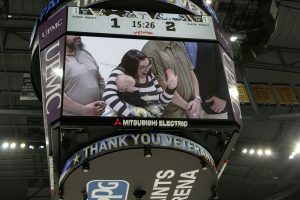 The home, donated by PNC Bank to the Military Warriors Support Foundation, was given to David Marino through the Homes4WoundedHeroes program. 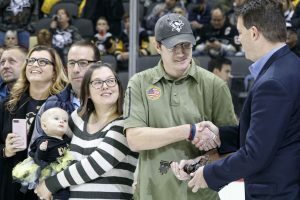 Dr Pepper Snapple Group sponsorship of the Military Warriors Support Foundation helps place combat wounded heroes into mortgage-free homes and assists with rebuilding their lives. We extend a special thank you to Walmart for being an active sponsor of this program, by carrying Dr Pepper Snapple Group’s products in their stores and supporting our nation’s heroes.